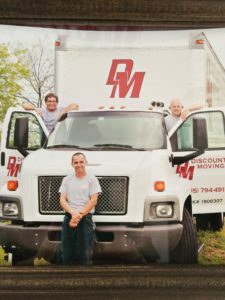 Discount Moving has been helping customers relocate since 1987; we have perfected the art of moving, packing and loading furniture. DM offers onsite, free estimates. Family owned and operated, both licensed and insured: you can see our current license on the Oklahoma City Corporation Commission website occeweb.com (under Household Carriers).